Nowadays, the concept of expanded notation is often introduced in the 2nd grade. Usually, your child will have learned how to write numbers in all of their expanded forms by the end of 5th grade, and will be ready to begin learning scientific notation in 8th grade. Help your 7th grader review expanded numbers using these tips. First, expanded notation can help your child do many math problems more quickly. Your son or daughter can also do left-to-right multiplication, which may be easier than the method your 7th grader has learned. Additionally, learning expanded notation is one of the first steps in learning how to write computer programs. In order to point out a practical use of expanded notation, you might ask your child, 'Do you want to write a new computer game someday?' Once your 7th grader understands expanded notation, it'll be easy to learn scientific notation. Scientific notation plays a major role in computer languages and physical sciences. There are many complicated or confusing definitions of expanded notation. One simple way of explaining it is to say it's separating a number into its digits and writing it as a sum of each digit's value. Or one may simply say that it's writing a number out by multiplying the digits by their columns. Like most math concepts, this is best learned by illustration. One of the easiest ways to show this form is by writing a number, such as 7,495. Above each digit, beginning at the right, write the number of zeros that the digits in each column represent. So you'd write 0 above the 5, 1 above the 9, 2 above the 4 and 3 above the 7. Then verbalize what you're doing and write the number as 7 with 3 zeros behind it + 4 with 2 zeros behind it and so on. The last example is also the beginning step for scientific notation. If your child doesn't know this expanded notation format, you may have to explain that 10^3 = 10 X 10 X 10 and 10^0 (or any other number ^0) = 1. Imagine a math teaching tool so effective that it need only be employed twice per week for less than an hour to result in huge proficiency gains. Impossible, you say? Not so...and MIND Research Institute has the virtual penguin to prove it. 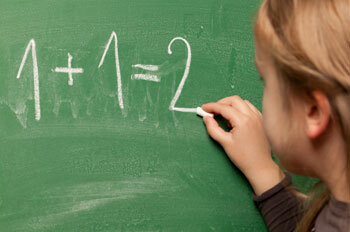 Should kindergartners put away the building blocks and open the math books? 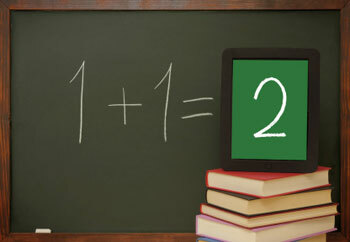 According to recent research, earlier is better when it comes to learning mathematical concepts. But that could put undue pressure on kids, parents and even teachers. Great Books for Young Children: Brown Bear, Brown Bear, What Do You See? Could Schools Start Charging Students to Use the Bathroom?